Class Auto Motorsports has formally announced they have secured the talents of two-time TA2 Champion Cameron Lawrence for the 2017 Trans Am Championship, adding the winningest driver in class history to their two-car effort for the majority of the 2017 Trans Am Season alongside driver-owner Ray Neveau. The team is in the midst of finishing a trial run of races in the 2016 season while making preparations for the coming year where they will compete in both the Trans Am Series and Trans Am West Coast Championship. After sitting out all of the 2016 Trans Am Championship, Lawrence is set to return to the class that saw him capture 20 career wins and 31 top-five finishes alongside 17 poles. Lawrence leads the TA2 class in all-time victories and is tied with Bob Stretch for most championships earned with two. The team expects Lawrence to immediately bring the Class Auto Motorsports team to a new level of competitiveness. Neveau will be doing double duty as a driver and team owner and will have his hands full as he plans to stay involved with the team at all levels. Coming from the NASCAR South West Tour Series, Neveau is no stranger to a tube framed designed car with high horsepower. The team will take delivery of their second car towards the close of the 2016 season, receiving a fresh Mike Cope Racing built Chevrolet Camaro prior to the season finale at Daytona International Raceway. The Class Auto Motorsports Chevrolet Camaros will be powered by Katech engines, reuniting Lawrence with the supplier with which he won his first championship in 2013. 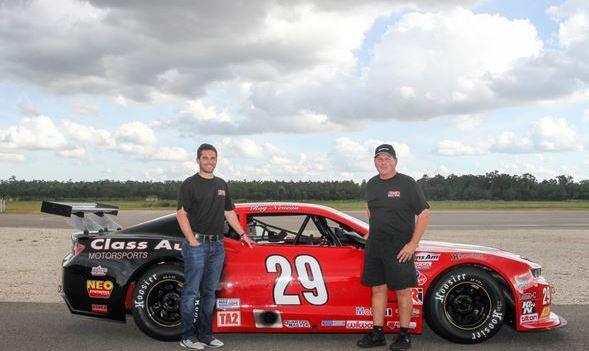 Jessie Poppen will serve as Crew Chief for the Class Auto Motorsports team. 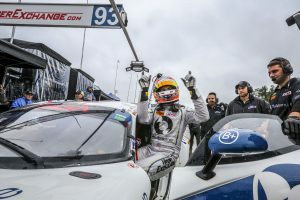 A long-time team member of the organization, Poppen will oversee mechanical efforts while engineering duties will be handled by Doug Nagy, a veteran in motorsports. “These are very solid platforms; and between the chassis, power plant and driver, we have assembled a winning package,” stated Nagy.